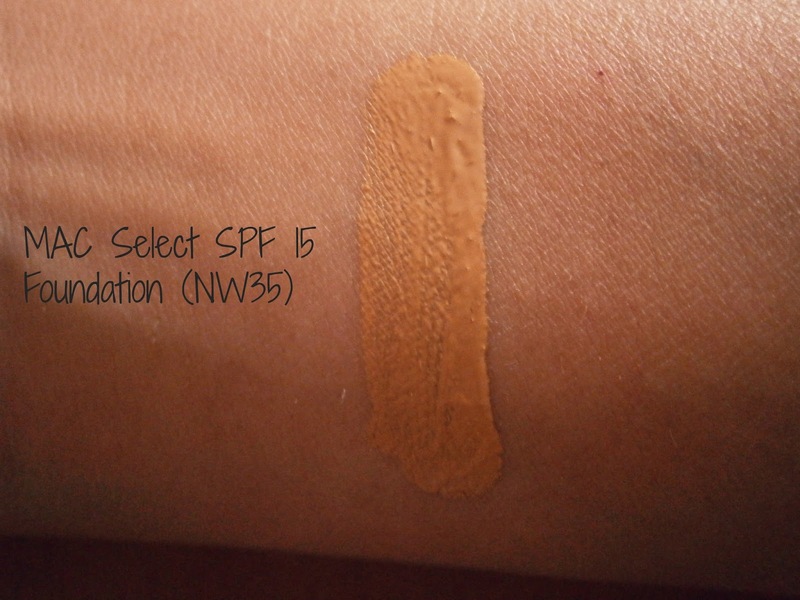 This weeks Must-Have product is the first ever high end product that I've purchased and the first foundation I got professionally matched to, and that is my MAC Select spf 15 foundation in NW35. I cannot tell you enough how much I love this foundation. I used to use this foundation every single day, but I find that it was matched to my skintone during summer, where I was slightly more tanned. So this is my go-to foundation during the summer months, I've been going to this foundation a lot over the past few months! It is seriously the best yellow toned foundation! I've had this for almost two years now, it probably wouldn't have lasted so long if I had been using it everyday throughout the year, but I can definitely say one pump is enough to get a decent coverage. The great thing about this foundation is that it is easy to build upon and so you can get your desired foundation. It is a little pricey but definitely worth trying out! There's a huge variety of colours so you can get your perfect match. If you can get to a MAC store then it's definitely worth asking the makeup artists to help you get matched up.